No1. Vietnam Tours & Holiday Packages with High Quality + Affordable Price. The best choices to discover Vietnam right now. Don't miss out! We are local people, We are always here to support you 24/7 - ready to listen and arrange everything as your desire. Surely, you will feel satisfactory! 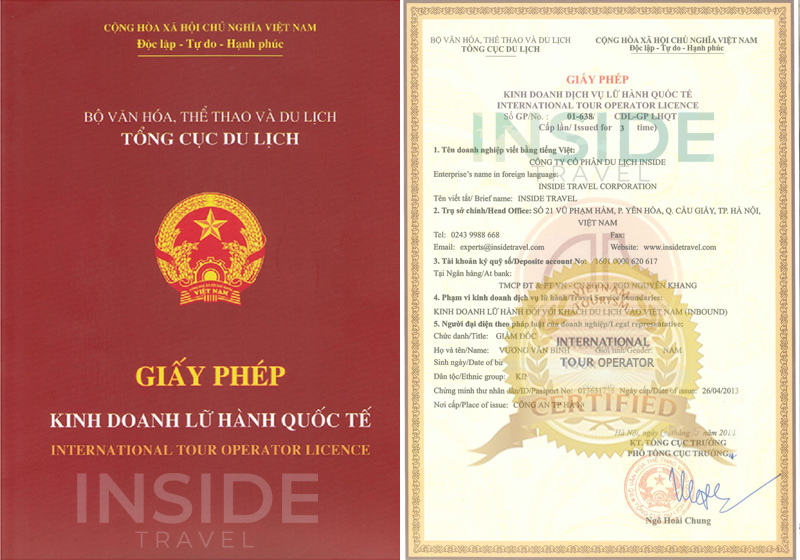 With International Tour Operator License No: 01-638/TCDL-GPLHQT & Official Member #8066 of PATA - Pacific Asia Travel Association & ASTA: #900260032 - American Society of Travel Agents. Enter your email to get Great Promotion Code, Special offers, Hot deals, and Huge discounts quickly. Don't miss out! Discover Vietnam with People Inside & Know it Best!